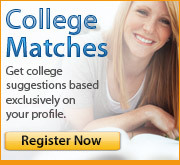 When Is It Too Late to Apply to College? Annual award for entering freshmen students who are designated as finalists in the National Merit competition and designate Texas Christian University (TCU) as their first choice. Selection is based on student's SAT I and ACT scores, GPA, rank in class, strength of curriculum and the level of competition in the current pool of scholarship candidates. Award may be combined with another TCU scholarship if the total does not exceed the full cost of tuition. Due date and number of awards varies.